Earlier this year, I had the opportunity to take a cruise on the Royal Caribbean’s Freedom of the Seas. While I identify as an explorer under Cohen’s tourist classifications, I do believe that a cruise can be one of the best and most economical ways to island hop in the Caribbean. For better or worse, a cruise ship is the quintessential mass-tourist vessel and many ports of call arrange themselves accordingly. Much to my chagrin, some of the most well established tourist towns that have often sold their cultural soul for the thousands of cruise passengers that visit. That being said, it is not necessary that I follow the masses while in these ports of call. This voyage was fantastic and I greatly enjoyed exploring the places I visited beyond the guided tours and trinket shops. On this voyage, I had the opportunity to visit a few places that I had never been: Haiti, Jamaica, Cayman Islands, and Cozumel. 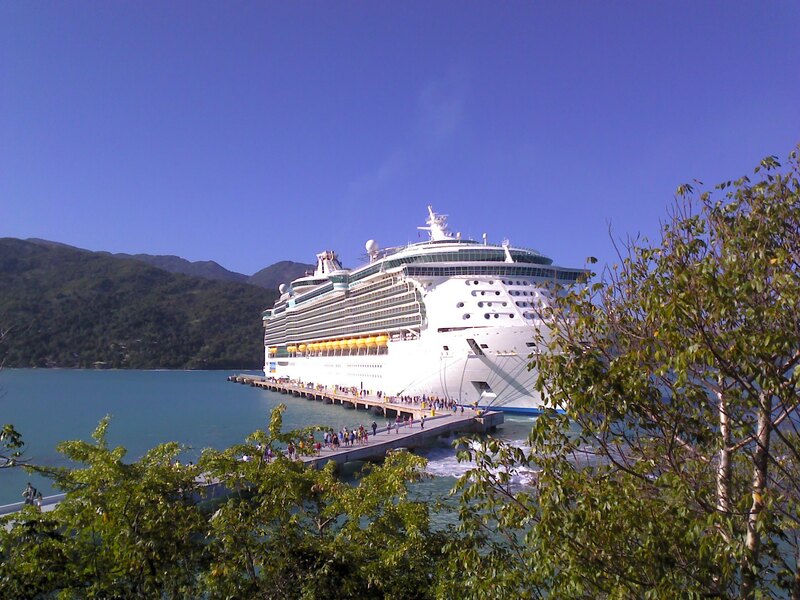 Our first port of call: Labadee, Haiti. Of course as I researched this place before the trip, I first read the reviews that past passengers had made. It seems that most people liked to emphasize how safe it was, how it was a resort compound and that all vendors are a licensed and select few, or that all of the food and water was imported from the ship. Of course those statements were not selling points for me. All of the perspectives seemed to be coming from people talking about how outsiders could not get into the cruise line’s property and that we would have all the comforts of the ship while ashore. I set out to see the frontiers of this property and see if there was any way that I could obtain a more meaningful and authentic experience on Haitian soil. I came to learn that the fence worked both ways. At every port, I wake up early so that I can observe the approach. The approach to Haiti was beautiful and I daresay that it was the most beautiful of all the approaches on that voyage. I began my excursion along the coastline. There was a trail to the left immediately at the end of the pier that I followed along the rocky coastline. There were some gorgeous spots along this walk and it was an excellent way to avoid the largely beach going crowds. This trail let out near a beach which was actually closed at the time that I passed. One lady was being informed of such closure by one of the locals who worked there. I am not sure if this beach actually opened later or if it was exclusively for sunbathing and volleyball. Overhead was the cables for the famous zip line that was being advertised as a highlight excursion on the Freedom. 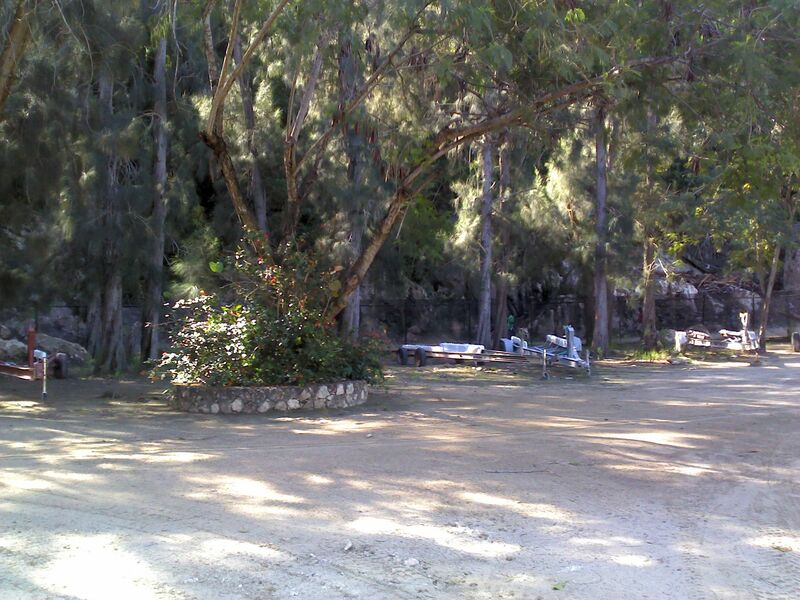 To get to the top of that mountain in order to travel down to the beach via the zip line, it appeared that the passengers were being taken by a truck outside of the compound and along a road that traced the property boundary. If this was the case, it was the only way that one could technically leave the property. Up in this part was a roller coaster that weaved its way through the woods for a duration of about 5 minutes or so. I did have the pleasure of taking this ride later in the day and it was interesting as it provided some nice views and one could control their own car to speed up or slow down. As one follows the perimeter of walkable area, one will come across some fence line protecting the employee housing on the property. This fence line lead to an opening where it looked like most, if not all, of the vehicular entries to the property took place. A preliminary fence of sorts which provides a buffer from the outside fence along the boundary. If one crosses the threshold of the fence pictured above, one would see a guard shack and gate to the right and the employee housing to the left. It was well watched and I was not able to leave the property though this entrance. A little further down the chain link exterior fence, I came upon another point of entry. Here there was a dock as well as a pedestrian entrance. Any crazy thought that I might have had to bribe a boat’s pilot for passage to the local village was dashed upon discovering that this point was also well patrolled by the well-armed Haitian National Police. The picture below is as close as they would let me get to the fence. I came to learn here that the fence worked both ways. 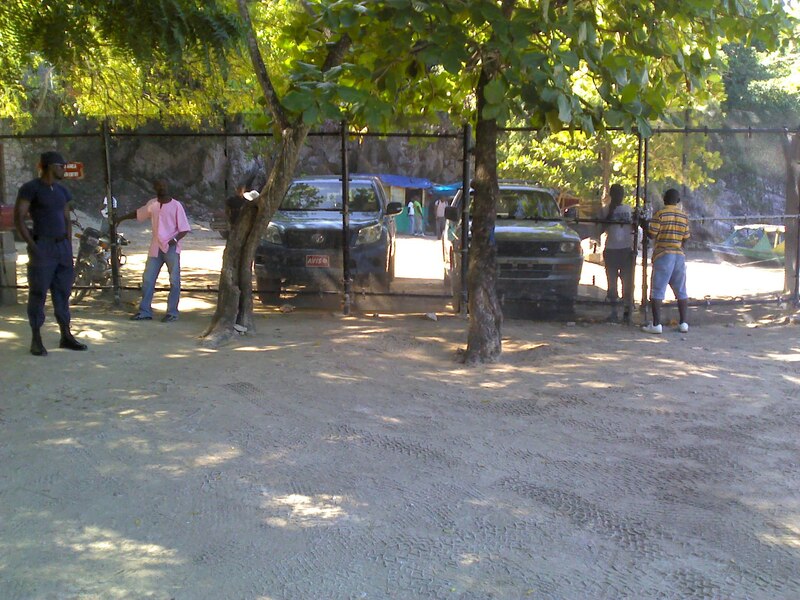 Haiti allows the cruise line to utilize its own property and to have guests visit, but such allowance does not constitute admission into the country. Meanwhile, the cruise line has an interest in keeping wandering passengers away from dangers both real and perceived. I suppose that not many people would want to visit Haiti as a port of call if they did not feel “protected” from the outside. This being said, Royal Caribbean does a decent job making one feel like they are not fenced in. The boundaries are largely unnoticed by most passengers who are more interested in their recreational pursuits on the property. I am one of the minority who will discover the limitation. As I walked back following the sidewalk along the beach, there came a fork in it. The right path going up through a “village” where licensed local merchants set up shops and stalls. This was well patrolled by security who seemed more interested that the vendors were obeying rules. I ventured in and was immediately greeted on all sides by anxious and aggressive vendors insisting that I just look at their shops. While I looked, they would proceed to place jewelry on me and place things in my hand. I was truly the center of attention and it was work to escape each shop and to walk down that path. I will say that they were willing to negotiate a lot. They were very friendly and extremely helpful, if only I were looking for tourist goods…. One man did almost convince me to purchase a Cuban Cigar (for $7), but I returned to the ship via a different path and ended up not going back for it. Lunch was served at a few venues on the property. While I adore the ship’s regular fare, I was really hoping for something Haitian. It turned out that we were served American style-barbecue foods made by the Freedom’s galley and served by her crew. After lunch, I transversed the property one last time before returning to the ship. While it was nice to say that I was on Haitian soil, I did not really feel like it was Haiti. I did not get to make transactions with Haitian currency, try the food, or observe actual life in that country. 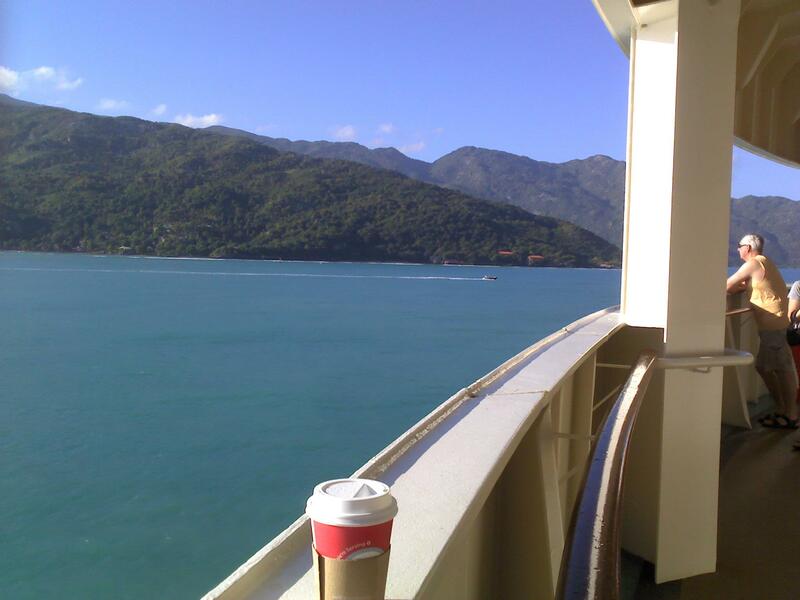 I would say that Labadee is a great resort and a perfect place to hit the beach for the day. In fact, Labadee had probably the nicest and safest beach of the entire itinerary. As I am not a beach person, I would likely not rush off the ship if I am called to that port again- not for anything against the place itself, but because I have seen all there was to see there within a few hours and there is nothing left to do.